Product prices and availability are accurate as of 2019-03-10 17:46:27 EDT and are subject to change. Any price and availability information displayed on http://www.amazon.com/ at the time of purchase will apply to the purchase of this product. 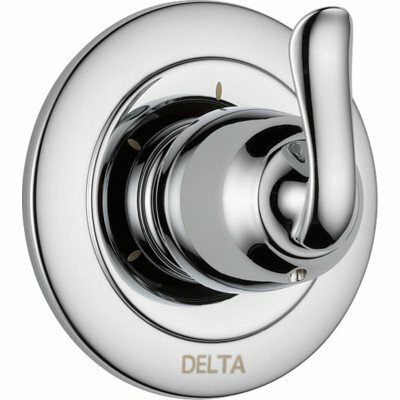 T11894 Finish: Chrome Features: -Ceramic.-ADA compliant when installed properly. Dimensions: -Overall dimensions: 4.25'' H x 10.25'' W x 10.25'' D. Collection: -Linden collection. Warranty: -Manufacturer provides lifetime limited warranty on faucet and finish.